A friend of mine recently fell victim to a phony tech support caller. Fortunately, she caught on before giving out a credit card number, but not before the crook had damaged her computer. She was locked out of her computer completely. The scam goes like this. Someone calls who claims to be from Microsoft tech support (or from another well-known tech company). He’s detected viruses on your computer and needs to remote into it to show you. 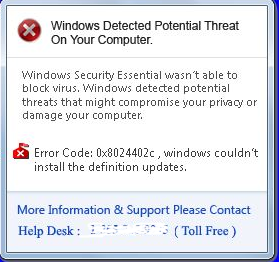 If you agree, the scammer will make it appear that your computer is horribly infested with all sorts of malware. At this point, he’s already installed his own malware, so your computer actually is infected with something. Then, he offers to “fix” your computer’s problems. Just provide a credit card number, and he’ll take care of the rest. If you do give him your credit card number, he probably won’t stop at charging you over $100 for allegedly fixing problems your computer didn’t have in the first place. He’ll probably sell your credit card number and possibly any private financial information he was able to glean from remoting into your computer. These scammers can sound very convincing, and background noise gives the impression that they’re actually contacting you from a tech support call center. They’re working out of a call center, all right – a criminal enterprise’s call center, likely in a foreign country. These thieves can not only camouflage their caller ID information, but they can also make it look like they’re calling from Microsoft or another company. The FTC periodically manages to take down fake support scammers, but more seem to crop up as fast as they old ones get closed down. 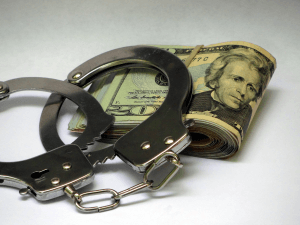 In addition to the phony tech support scammers, other criminals claim to be from the IRS, FBI or other law enforcement agency, threatening to haul you to jail if you don’t pay a fine. Others may claim you’ve failed to appear for jury duty and need to pay a fee to avoid arrest. Lottery and investment phone schemes are still around, too. 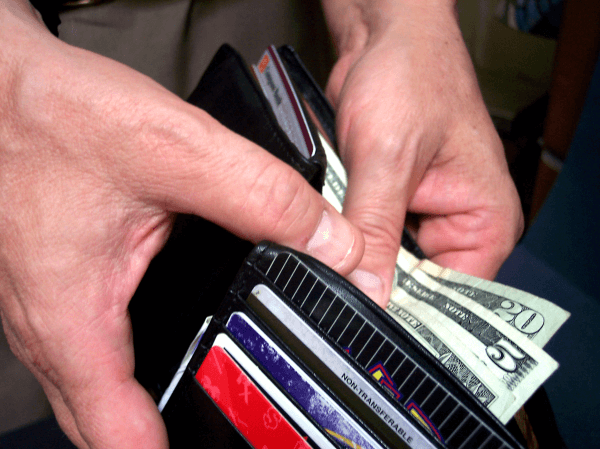 Scammers most often demand money via credit card, Bitcoin or wire transfer. 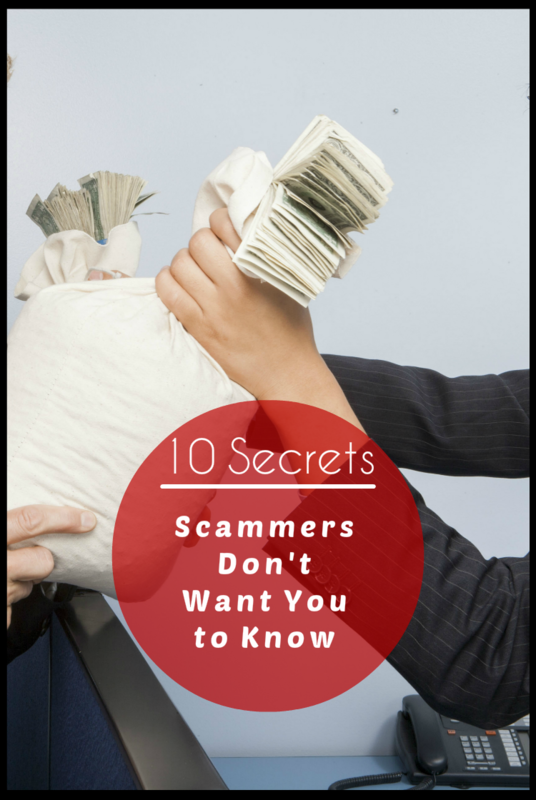 Here are 10 things you need to know in order to help protect yourself from scams. Most of all, use good judgment. Never give out personal information, including credit or bank account numbers, to someone who calls you, and never agree to wire money to a stranger. Any caller claiming to be from Microsoft or other tech support is almost definitely a scam. How would they get your phone number, anyway? If you’re unsure, ask for his name and number so you can call him back (which he probably won’t give you, since he’s a criminal). Then, call a known valid number for the company from its website. 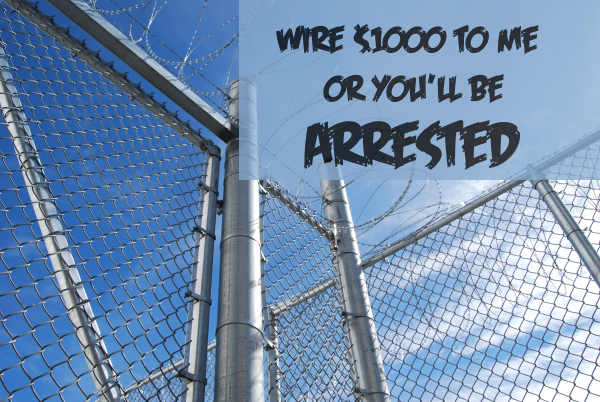 Legitimate government agencies won’t call or email you with threats of imprisonment unless you pay a fine. This includes the FBI, IRS, police and enforcers of jury duty summons. Don’t believe anyone who calls or emails with a supposed arrest notice. Technology makes it easy for criminals to change their caller ID transmission to read whatever they want it to. Someone calling from Siberia can appear to have a number labeled Microsoft or FBI or whatever they desire. 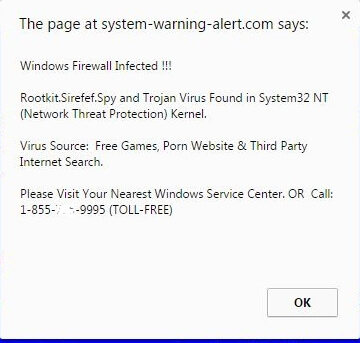 If you see a pop-up message on your computer saying that you have a bunch of viruses, do not click anything. Immediately shut down your computer and restart it. Some compromised websites even talk to you, saying your computer is infected by viruses and flashing alerts on your screen along with a phone number they want you to call. Don’t fall for it. The messages are meant to be so alarming and annoying that people click around trying to get rid of them, making things worse by activating a malware installation. If you get a phone call from someone claiming to be from your bank, credit card or other financial institution, ask for a name and call back number. Then, call a known good phone number, such as the one on the back of your credit card or a number taken directly from the company’s website. Some scammers who have stolen card numbers will call people claiming to be from the fraud department of your credit card and ask for the CVV security code, a three-digit number on the back of your credit card. 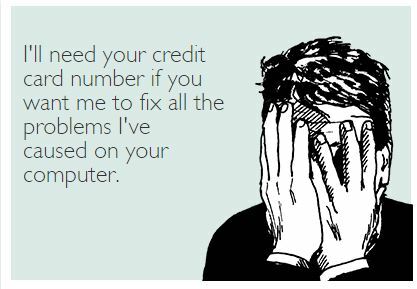 Again, if someone calls from your credit card company, ask for a callback number, then call the number on the back of your card. 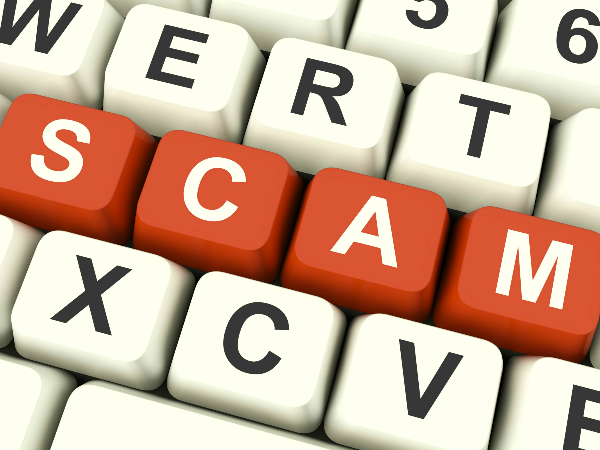 The North Carolina Attorney General’s office has an excellent list of common scams and offers an email alert service. I signed up for the email list, and I get an alert probably once a month or so regarding a scam that the office has received complaints about. You don’t have to be a resident of North Carolina to sign up for this email list, but your state government might also offer these services. Hang up on anyone who calls to offer you a free security system. 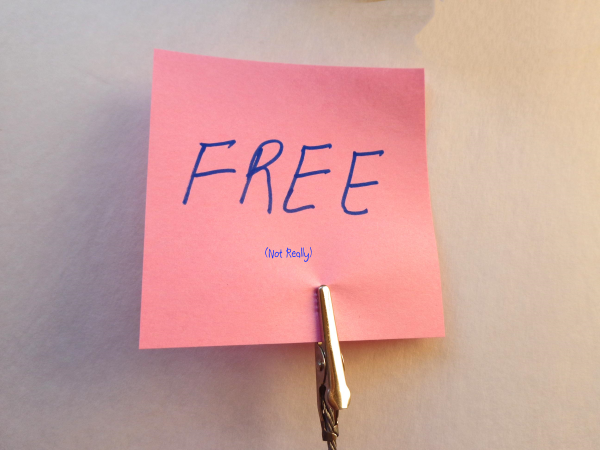 Robocalls or live callers claim that there’s been a spike in crime in your neighborhood and convince you to accept a “free” security system in return for placing a sign in your yard. Some people hawking security system “deals” like this are even going door to door in larger cities. If you receive a robocall sales pitch, don’t press a number to be removed from their call list. This lets them know that they have a live phone number. It won’t make them stop calling – it’ll probably result in more calls. 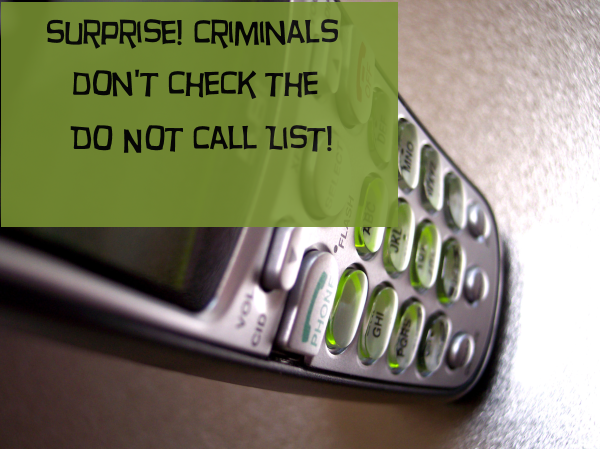 Scammers don’t heed government do not call lists and don’t maintain their own lists. They’re already breaking the law, and they’re probably not even located in the U.S. 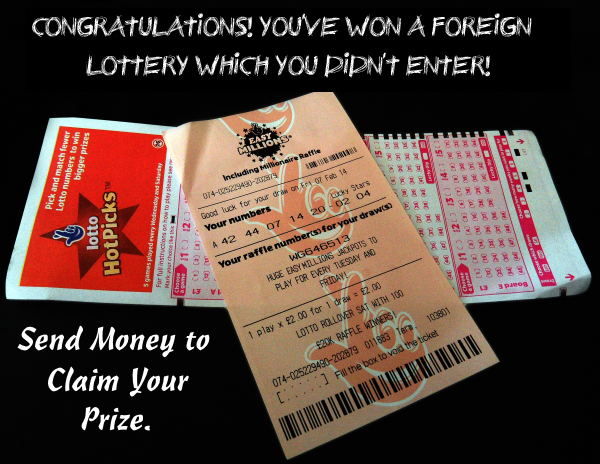 Anyone who calls or emails you about winning a lottery is almost certainly trying to scam you. If you don’t remember entering a contest, then you certainly didn’t win something. Legitimate giveaways and lotteries just don’t pick people’s emails or phone numbers out of thin air. 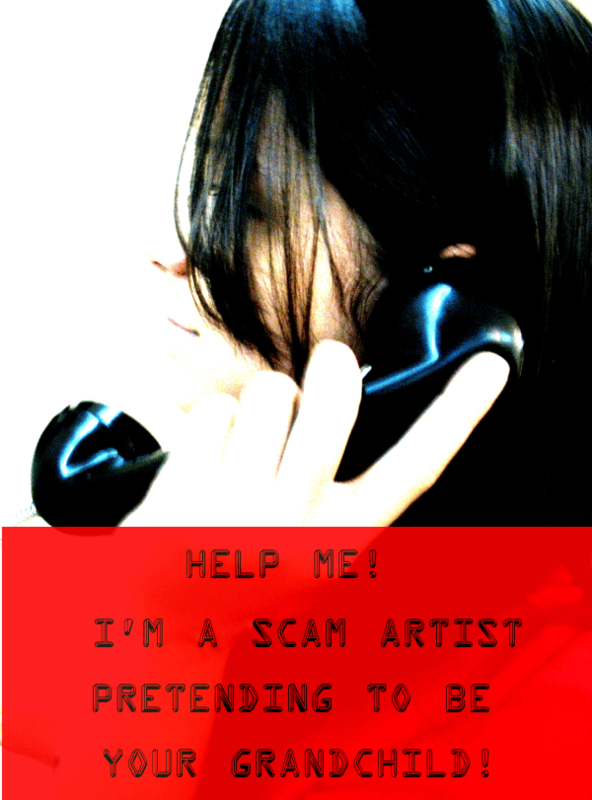 Callers can be very convincing, trying to sell you magazine subscription renewals, claiming they are from your doctor’s office and need your Social Security number or begging you to donate money to a supposed charity that sounds familiar but actually doesn’t exist. Criminals scam some people, particularly senior citizens, out of tens of thousands of dollars in supposed “taxes” on their lottery winnings or to funnel into phony investments that keep needing more and more money. Probably nothing tears at the heart of a grandparent like the sound of a young person’s frantic voice on the phone begging for help, crying and fearful. Criminals count on grandparents not always knowing the whereabouts of the grandkids and taking at face value any call claiming to be from one of them. The “grandchild” claims to be somewhere far from home and in need of money wired to him/her to escape a precarious situation such as kidnapping or arrest. In most cases, there’s someone else you can call to verify the current location of your loved one. If you can’t contact children or grandchildren by phone, try texting and emailing, or find out from roommates, friends or other relatives whether everyone is accounted for. The grandchild scam might not specify a name, since the caller conveniently has a bad connection, has to talk quietly (and you can’t understand much) or can’t say a lot because someone is listening. It’s extremely important to warn elderly loved ones about all types of scams, especially phone scams. Even intelligent and tech savvy seniors can fall victim and drain their savings to telephone schemes. Phone scammers love to prey on senior citizens, many of whom spend a lot of time at home, are more likely to answer phone calls from unrecognized numbers and have built-up retirement funds ripe for the picking. 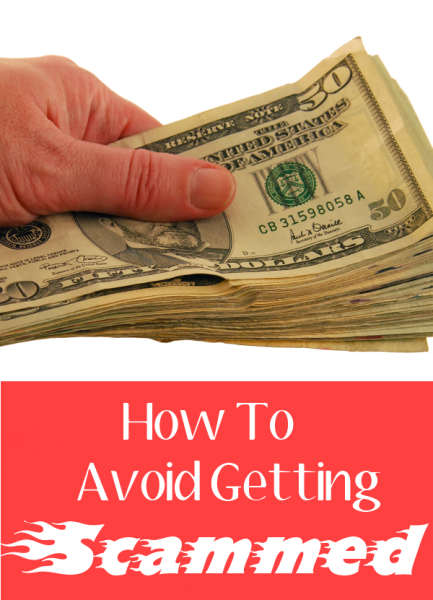 Have you ever been scammed, or have any of your friends or relatives? What happened?